Pay attention to the bylines of the most popular stories of the year. My prediction is that few will be staff reports and most will be gripping, memorable opinion pieces. You may be cynical and blame shrinking newsroom budgets, as this writer did in The Washington Post, decrying the rise of the first-person essay. Or you can embrace the trend as the equalizer and gesture of inclusion that readers actually wanted all along. Indeed, the popularity of such pieces points to the authenticity, expertise, and intimacy the Internet craves. Of you. By you. In 2015, newsrooms can meet this demand by growing their op-ed sections to include real voices from inside their communities, rather than using it as a dumping ground for people who put their time in and got 750 words a week as reward. This hunger to hear, feel, experience voice is changing the news side, too. In digital, we ask writers for their “take,” whereas the papers of record tend to slap a bolded or italicized or boxed “news analysis” as a warning. In 2015, I predict we’ll get a lot more comfortable with our passions, obsessions, biases, confusion, hypotheses, addictions, sordid pasts, tense futures. Newsrooms would do right to publish staffers’ more human and personal offerings, instead of sending their best work off to Medium or Facebook. We should strive to produce the stuff readers remember, not just share. In my yearend column for Poynter, I based my own Top 10 list of 2014 journalism on the stories that stayed with me beyond the retweet. Interestingly, none of the pieces were simple “takes”; all relied on rich details, shoe-leather reporting, and grounded expertise. As we strive for journalism that is memorable and authentic, metrics will finally be on the side of diversity. For years, many of us have been saying that media’s survival rests on an inclusive newsroom that can get inside stories. Of you. By you. I’m hoping 2015 is the year we can finally shut up and let the traffic do the talking — and hence guide the hiring. 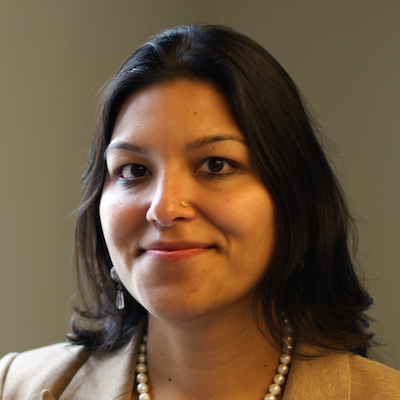 S. Mitra Kalita is the executive editor at large for Quartz. Dec. 16, 2014, 3:07 p.m.